If you would like to take your bikes on a road trip but you don't have a big enough car, this bicycle carrier is the solution! 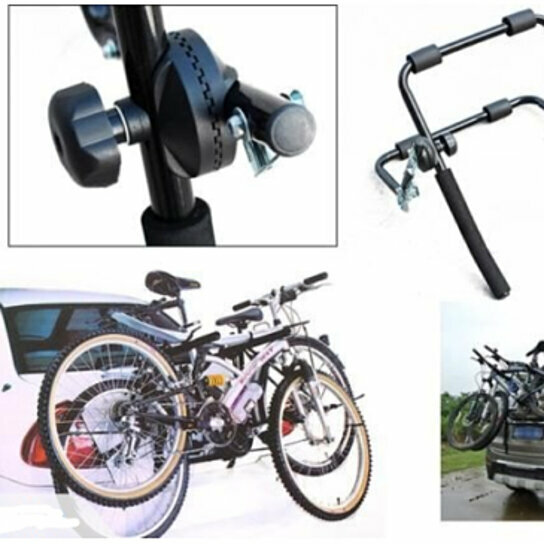 It can carry up to two bikes, compatible with different vehicle types, very easy and safe to use. Note: This item is not fit for the jeep which have tyres hanged on. This Bike Rack Carrier doesn't come with the thin straps what the as instructions "secure bicycles to the carrier with the thin straps provided. DO NOT use elasticated straps" mentioned.